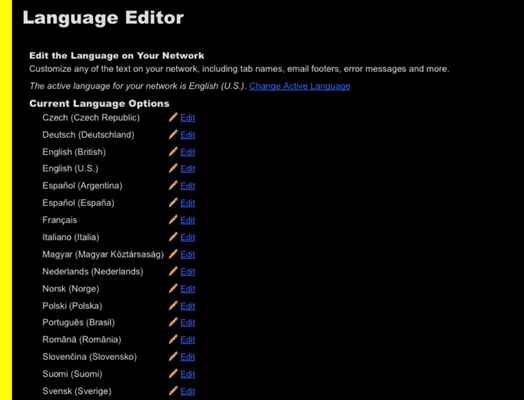 Click the Language Editor icon below the Your Network heading. You land on the Language Editor page, which shows you what language your network is currently using next to the words The Active Language for Your Network Is. In the Original Text search box, type the text Welcome to %s! Thank you for joining and click Search. You’ll see the text in your welcome message appear. In the Custom Text field, make all the changes you want to your welcome e-mail message. If you want to include a link for confirmation of joining the network, simply type in the URL without any HTML code surrounding it. This saves your edits. From now on, all new members receive the updated version of the message when they join the network.